1. GREED: Most expensive/inexpensive make up product you own. I have lots of inexpensive products which can’t beat this Bonne Bell set. So, I got to put this up to share with you guys. It’s my most recent acquired Bonne Bell 3 in one products in a purse. I paid $3 for three makeup items with a cute purse at my local Dollar Store. Yipee!!! 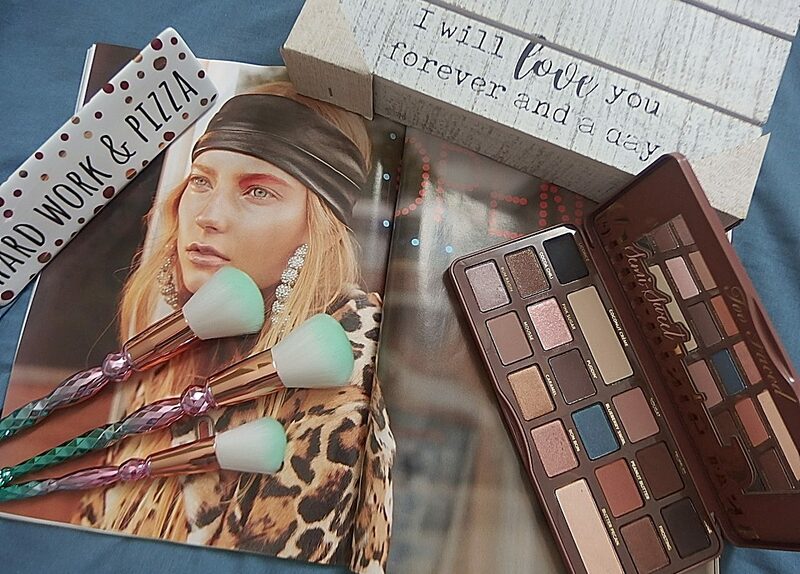 While I’ve a fair share of expensive products to mention but I’ll just going to pick one item and it’s the Urban Decay Naked Eyeshadow Palettes 1,2 & 3. 2. WRATH: what products do you have a love/hate relationship with? What product has been the hardest to get? 3. GLUTTONY: What are your most delicious beauty products? Hahaha! I’m going to say eos lip balm. It has delicious flavor. Its 100% natural and organic. Yum! 4. SLOTH: What beauty product so you neglect due to laziness? One of my New Year resolution is to curl my eyelashes which I have been slacking recently. 5. PRIDE: what beauty product gives you the most self confidence? I would have to say my lips. A good lip color will definitely boost up my self confidence to the max. 7. ENVY: What item would you most like to receive as a gift? Do you have a beauty sin that you like to share in the comment section below? Pride – I would have to lips also. I really like very full lips. There are almost lips that are too full for me but everyone’s taste is different as well. Mine are pretty full naturally, but I’m also not ashamed to say I love them bigger and periodically I enhance them further. Gluttony…My most precious products all come the Dior counter. It’s no secret that is my favorite cosmetic designer but unfortunately, I can’t afford to buy everything in the line. But I occasionally splurge. PRIDE: Foundation because I have the most uneven skin ever !! !